Planning a smart city for the future involves planners, architects, engineers, and designers– rather than bureaucrats, bureaucracies, and politics as usual. The 2016 Smart City Challenge encourages cities to embrace a dynamic partnership of the public and private sectors. This innovative challenge began last December by the US Department of Transportation and US Transportation Secretary Anthony Foxx. The objective of the challenge was to become the first city in the country to integrate technologies such as self-driving cars, connected vehicles and smart sensors into its transportation network. The prize was $40 million in funding, subject to future appropriations, to carry out the city’s vision. Cities from around the country participated, and in March the field was narrowed to six finalists: San Francisco, California; Kansas City, Missouri; Austin, Texas; Denver, Colorado; Portland, Oregon; and Pittsburgh, Pennsylvania. Each of these finalist cities was given a $100,000 grant to further develop their plans. The finalists were also connected with challenge sponsors — private sector entities who could aid in the process of developing their detailed proposals. Sponsors to the challenge included Mobileye, Autodesk, NXP, Amazon Web Services and Sidewalk Labs. Paul G. Allen and Vulcan partnered with the U.S. Department of Transportation on the Smart City Challenge, contributing $10 million to the challenge in addition to technical assistance and guidance. Each of the finalists had great ideas, and all merited strong consideration for their efforts. A challenge for all the finalists was how to best convey their vision for their cities. Autodesk’s InfraWorks 360 was a tremendous tool at the disposal of the teams, and visualizations from InfraWorks 360 were included in most of the pitch videos. InfraWorks 360 gives civil engineers, city planners and other team members a graphic-rich environment to go from concept to analysis and refinement to proposal, all in one application. It was Columbus, Ohio that was finally declared the winner. 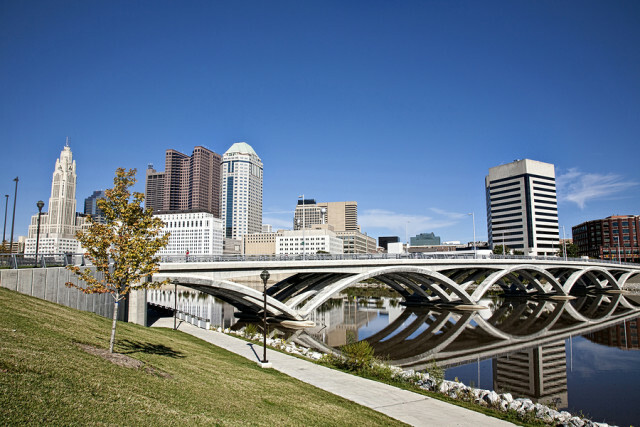 Based on the number of cities responding to this challenge, it is clear that Columbus is not the only city striving to integrate these technologies into its transportation network. As the adoption and implementation of these technologies grow, it will not be long before they make their way to even the smallest of towns.